Established by professional golfer Jamie Lovemark and his wife, Tiva, The Lovemark Foundation is a nonprofit organization dedicated to financially and emotionally supporting brain cancer patients and their families. We work with Yale New Haven Hospital’s neurosurgery department and social work oncology team to allocate funds to those in need. According to the American Brain Tumor Association, there are almost 700,000 people in the United States living with primary brain tumors (those that begin and typically remain in the brain), with nearly 80,000 expected to be diagnosed this year. Medical costs can put an enormous financial and emotional strain on families already going through a harrowing time. Whether it’s covering a mortgage payment, buying a wheelchair, or providing car service to take patients to and from post-op appointments, we’re here to help. 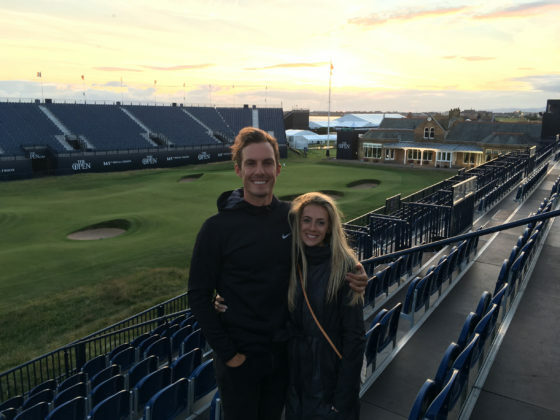 Jamie Lovemark is a professional golfer on the PGA TOUR and Nike athlete. Jamie grew up in Rancho Santa Fe, California, where he started golfing as a toddler. He attended the University of Southern California, where he was a member of the Trojans’ golf team, and turned pro in 2009. Tiva Lovemark grew up in Stamford, Connecticut and attended the University of Louisville. A competitive gymnast and cheerleader, she was diagnosed with a benign brain tumor in 2002 and sought treatment at Yale New Haven Hospital. Tiva’s personal experience with the hospital inspired her to give back to the community that helped her and so many others.